Paros lies almost in the center of the Cyclades islands. An area of 209 sq. km makes Paros the largest island in the Cyclades apart from Naxos and Andros. 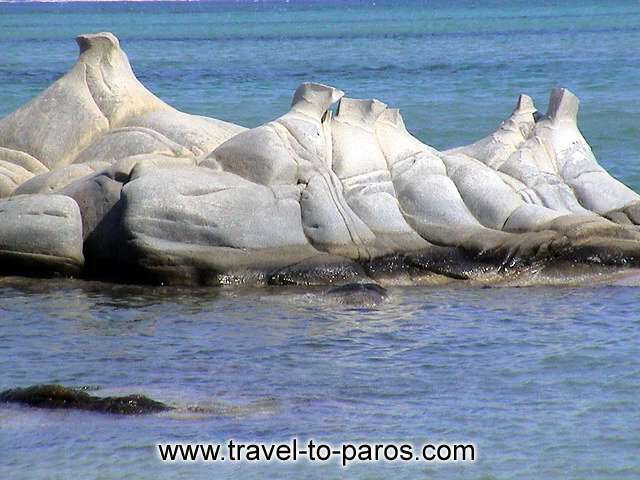 Antiparos is the smaller island, next to Paros and should be included in your itenerary. There are many reasons which made Paros a popular holiday destination. Beautiful beaches, traditional architecture, picturesque settlements like Parikia and Naoussa, the timeless sense of life in the Greek islands. Paros can be reached by plane from Athens (there are about six daily flights to Paros) and by boat from Piraeus and Rafina (there are more than 6 daily connections by boat). The distance from Piraeus is 95 miles and from Rafina 82 miles. During summer there are connections with other Cyclades islands with smaller boats and about 15 boats per day from Paros to Antiparos. More on transportation. Take a tour among Paros villages, Paros beaches and Paros worth seing. Ios and Santorini to the South.